Representatives of Pakistani Shia organizations have participated in the All Parties Shia Conference in Lahore to denounce targeted killings of Shia Muslims across the country. Documentry made by Shaheed Foundation A BRIEF OVERVIEW OF THE ISSUE Dera Ismail Khan- one of the southern District of North West Frontier Province of Pakistan, has become the slaughterhouse for the Shia community. The banned Sipah-e-Sahaba has indiscriminately killed dozens of innocent Shias including women and children. This also includes precious persons like Doctors, engineers, Professors, Businessmen in this Economically deprived District. So for 84 innocent people have embraced martyrdom. The irony of the fate is that none of the murderers of 84 innocent people have been brought to justice. Although the Police is well aware of the barbaric killers belonging to banned terrorist group Speha-e-Sahaba, yet there is a fear to take action against the terrorists who come in the day light openly & kill innocent civilians. The terrorists also threat the Judges and witnesses thereby influencing the fair trial. Due to fear of terrorists and failure of law enforcing agencies to bring the terrorists to justice in the past, the families of the murdered people even scare to lodge the FIR against the terrorists. NOTE: NONE OF THE 84 INNOCENT PEOPLE’S MURDERER IS CAPTURED AND BROUGHT TO JUSTICE BY LAW ENFORCING AGENCIES. RATHER THE TERRORISTS WHO CONFESSED BEFORE THE COURTS WERE SET FREE. Syed Rajab Ali Zaidi Superintendent of Police (SP) was killed along with his son Muazam 28, on 21 Dec 2003 on D.I.K-Darya Khan road as he was coming back to his home. So far Police has failed to unearth the culprits involved in the heinous killing of SP and his son. Inspector Ghulam Qanbar of Special Branch was killed on 13 Sep 2001 in D.I.K. He was targeted because he captured a deadly dangerous terrorist Murtaza Mawia with 5 lack money on his head a few months before his martyerdom. Advocate Khursheed Anwar – Centeral General Secretary Tehreek-e-Jafria Pakistan was martyred on 28 Sep 1999 along with his daughter Umme Lila 18 and guard Hassan on New Chongi D.I.K. He was the General Secretary of Tahreek-e-Jafria Pakistan. The accused were set free as a result of patch up between the family of advocate and the terrorists. Umme Lila 18, daughter of Advocate Khursheed Anwar embraced martyrdom along with his father as she was mourning his father’s death. The terrorist turned back and killed her. She was a brilliant student studying in F.Sc. Advocate Syed Afeef Abbas Shah was killed on 30 Dec 2004 in District Bar D.i.K at about 1:30 PM. He was targeted as he contesting the case of 5 innocent people who became the victim of the terrorists in 1999 while they were sleeping. The murderers could not be apprehended by the law enforcing agencies. Syed Bashir Husssain Kazmi – a retired Tehsildar was martyred on 25 May 2008 along with his brother Kifayat Hussain and two young nephews. The terrorist also killed a policeman at the spot as he tried to capture them. The other Youngman of the same family named Mazhar Abbas was martyred earlier in the this month (May 2008). Doctor Abdul Ali Bangash – a famous Sargon Doctor was assassinated in 1998 in District Headquarter hospital D.I.K in the light of a bright day while he was on his duty. The murderer on foot ran away from the scene with out any problem and police once again failed to trace the perpetrators and the master minds of this heinous crime. Doctor Ghulam Shabir an MBBS doctor was killed in his clinic on 2 Feb 2000. The culprits once again could not be brought to the justice by those who were responsible to bring them to the justice to create an example, so that nobody else could dare to kill the precious people of Pakistan. Allama Kazim Aseer Jarvi who belonged to village Jara D.I.K was killed along with his son on 28 March 92 while he was coming back to his home from Lahore. His young son Amar 14 who witnessed the killing of his father and brother later died of this psychological shock. Allama Allaha Nawaz Murtazvi was killed in February 1994 while he was coming from D.I.K to his village Haji mora to lead a Jumma prayerSyed Hassan Ali Kazmi a renowned Shia leader and Politician was killed on 7June 2001 in Mohallah Eisab Zai D.I.K. He contested the 1988 election and secured 20,000 votes. He is known as an icon of Shia-Sunni unity since he tried all his life for sectarian harmony.Liaqat Ali Imrani a well known social activist and local Journalist was killed in 2006. Maqbool Hussain a senior journalist (as quoted by BBC) was killed in D.I.K in October 2006 Fayyaz Hussain of Pakistan Army (DSG) became the victim of terrorists along with other 4 persons in Sardary Wala. Hawaldar Abdur Rasheed (Retd) was one of the victims of this incident in which terrorists opened fire on armless people. Iftikhar Hussain of Pak Army (DSG) was also amongst the 5 victims along with Sami 13 and a young child Arif hussain who was 8 years old. Hassan Ali an employee in Police was killed on 28 Sep 1999 while he was on his duty as a guard with Advocate Khursheed Anwar. He was 28. Qamar Abbas an other Police employee was killed while he was on his duty in a procession of SSP on Eid Milad. He was killed as his name ‘Abbs’ was prominent on his name plate. Hawaldar Rabnawaz (Police) from Ahle Sunnet sect embraced martyrdom when he tried to capture the terrorist who were fleeing after killing Inspector Qambar on 13 Sep 2001. Professor Nizakat Ali Imrani Professor Nizakat Imrani 44, was the Chairman of Commerce & Business Depart of Gomal University who became the victim of barbaric terrorists on 23 Dec 2006 as he was coming back to home after attending the Annual Convocation of the University. He was ranked amongst the most brilliant Professors of Gomal University. A few months earlier his elder brother Liaqat Imrani- a well known social activist and local journalist, was killed. On 25 May 2008, 5 innocent Shia belonging to same family and a policeman were killed in the light of a bright day. FUTURE THREAT The cause of Shia sufferings in D.I.Khan is Talibanization. The Talibans and other militants trained from Afghanistan belonging to D.I.K and tribal area have ran away from Afghanistan and Tribal area to D.I.Khan & have succeeded to make it a stronghold for themselves. They are not only targeting Shias but also carrying bomb blasts in Video center, Cinemas and Govt: Officials. The recent history of D.I.K has quiet clearly shown it. 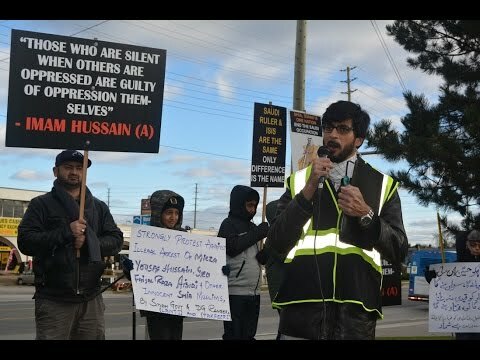 More prominent innocent Shia personalities are the ‘would be target’ of the sectarian militants The present activities of the terrorists and the growing influence of Talibanization in the vicinity of this sensitive District poses a great threat to the innocent citizens of Pakistan, especially to Shias. Conclusion The present radical trend in a sensitive District like D.I.Khan is a great threat to enlightened, moderate and progressive forces in the country. In the context of D.I.Khan following measures should be taken. Provincial government should be instructed to use iron hand against the terrorists to insure that the innocent people’s slaughtered is stopped and their life and property is safeguarded. A free and fair Commission should be constituted to investigate the elements perpetrating terrorism in D.I.Khan. CONCLUSION CONT…. Community should get united and raise their voice against this brutality. So come forward Raise your voice against this cruelty and do what you can Contribute in whatever way you can Take action before the fire reaches your home. Pakistani Shias who make up nearly 20 percent of the country\'s 180 million population, has been the main target of sectarian violence. The menace has assumed deadly proportions with the beginning of the year 2013. Quetta witnessed the deadliest bombings this year with two suicide blasts that claimed the lives of over 200 Shia Muslims in the city. In another massacre, which shook the port city of Karachi, a powerful bomb with impact radius of over 700 meters exploded in a predominantly Shia neighborhood of Abbas Town. The targeted killings still continue unabated across Pakistan particularly the port city of Karachi, the eastern city of Lahore, northern areas bordering China and northwestern Kurram agency. The Human right watchdog and other right groups point fingers towards the inaction of the government, which they say is not doing enough, or in some cases nothing. The Human Rights Watch in its last year\'s report says \"The Pakistani government should urgently act to protect the minority Shia Muslim community in Pakistan from sectarian attacks by Sunni militant groups. 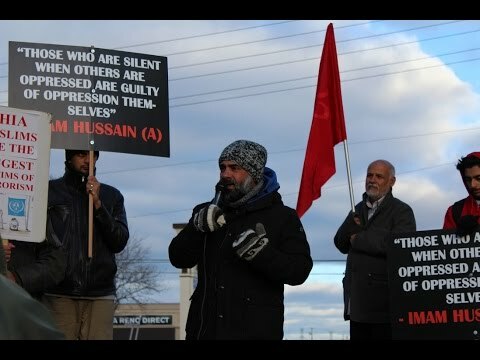 The government should hold accountable those responsible for ordering and participating in deadly attacks targeting Shia.\" On this week\'s INFocus we talk to Shia Muslims in Karachi to bring this issue to the limelight. Pakistani Shias who make up nearly 20 percent of the country\\\'s 180 million population, has been the main target of sectarian violence. The menace has assumed deadly proportions with the beginning of the year 2013. Quetta witnessed the deadliest bombings this year with two suicide blasts that claimed the lives of over 200 Shia Muslims in the city. In another massacre, which shook the port city of Karachi, a powerful bomb with impact radius of over 700 meters exploded in a predominantly Shia neighbourhood of Abbas Town. The targeted killings still continue unabated across Pakistan particularly the port city of Karachi, the eastern city of Lahore, northern areas bordering China and north western Kurram agency. The Human right watchdog and other right groups point fingers towards the inaction of the government, which they say is not doing enough, or in some cases nothing. The Human Rights Watch in its last year\\\'s report says \\\"The Pakistani government should urgently act to protect the minority Shia Muslim community in Pakistan from sectarian attacks by Sunni militant groups. The government should hold accountable those responsible for ordering and participating in deadly attacks targeting Shia.\\\" On this week\\\'s INFocus we talk to Shia Muslims in Quetta to bring this issue to the limelight. Pakistani Shia cleric Allama Nasir Abbas has been gunned down by unidentified armed men in Lahore. He was a leader of Tehreek Nifaz Fiqah-e-Jafaria-- a banned Shia organization. He was on his way home after addressing a religious gathering in Lahore on Sunday evening when he was shot by gunmen on a motorbike. His followers gathered at the hospital after hearing the news. They were chanting slogans against the government saying they will not bury his body until police arrest his killers. Meanwhile, Shia Muslims in Lahore have staged a sit-in protest since last night against the assassination of the Shia scholar. Shia Muslims in Pakistan come under yet another terrorist attack. Two-dozen Shia pilgrims have been killed in a bomb blast. The pilgims\' bus was targeted at a village in the southwestern province of Balochistan, as they were returning from their visit to Iran. Our correspondent in Pakistan gives us the details. Efraim Halevi, Ex-dir of Mossad speaking on Shia-Sunni conflict اسرائیلی موساد کے سابقہ ڈائیریکٹر کا اسرائیلی یونیورسٹی میں ایک سیمینار سے خطاب کے دوران اعتراف کہ کس طرح ایران میں آنے والے اسلامی انقلاب اور امام خمینی نے اسرائیلی مفادات کہ نقصان پہنچایا اور کس طرح اسرائیل نے سنی اور شیعہ مسمانوں میں اختلافات کو اپنے مقاصد کے لیئے استعمال کیا اور ان اختلافات کو بڑھاوا دیا۔ ضرور دیکھیں اور اس سے مسلمانوں میں اتحاد اور بھائی چارہ کی اہمیت کو سمجھیں اور یہ بات جان لیں کہ ہر وہ شخص جو مسلمانوں کے درمیان شیعہ سنی منافرت پھیلاتا ہے وہ دراصل اسرائیلی اور صیہونی مفادات کے لیئے کام کر رہا ہے۔ Efraim Halevi, the ninth director of Mossad and the 4th head of the Israeli National Security Council, speaking on Shia-Sunni conflict and how the Islamic revolution in Iran and Imam Khomeini shattered Israeli dreams in the Middle East and how the Shia-Sunni conflict is in their advantage and the way they used it for the benefit for Israel. So anyone who promote hatred and animosity between Sunni and Shia Muslims serves the Zionist entity. The Syrian conflict is just one example. 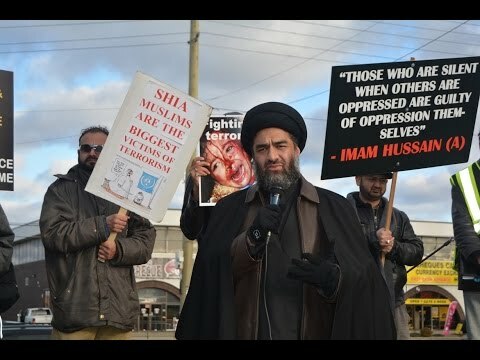 We do not accept the Shia school of London - Farsi sub English The kind of Shia school emerging from London is not the kind of Shia Islam that the Holy Prophet\\\'s household (peace be upon them) promoted or preached. Be careful!